We’d love your help. 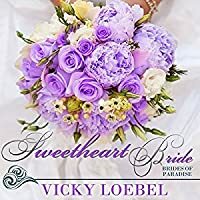 Let us know what’s wrong with this preview of Sweetheart Bride by Vicky Loebel. Growing up on the tropical paradise of St. John, environmentalist Ellie Green had three goals: study ecology, save the planet, and marry Ryan Andersen, the dreamy older boy who hung out at the Paradise Resort next door. 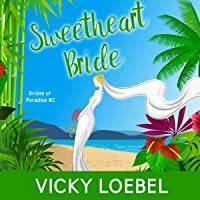 Ten years later, Ellie's college plans are in ruins and the planet isn't saved, but she still has a chance to marry Ryan. All she has to do is help him bulldoze her childhood home and build an island-destroying casino. 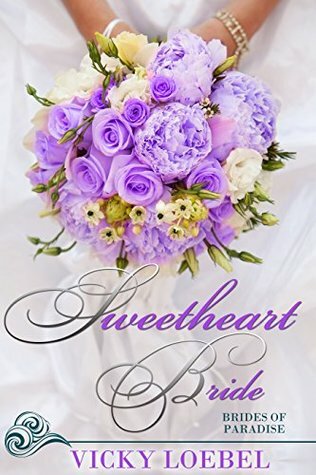 To ask other readers questions about Sweetheart Bride, please sign up. Sweet story with some fun in between"
Ryan may have meet someone that can just take him on and then some. Returning home for Ellie was not exactly what she was expecting. She gets home to only find nothing. Everything she loved had changed and some changes were bigger than others. She also finds her childhood crush located in the one place he should not have been. This was more fun and some excitement that was not contained in the first of the series. I still enjoyed it all. I loved watching Elli Sweet story with some fun in between"
Ryan may have meet someone that can just take him on and then some. Returning home for Ellie was not exactly what she was expecting. She gets home to only find nothing. Everything she loved had changed and some changes were bigger than others. She also finds her childhood crush located in the one place he should not have been. This was more fun and some excitement that was not contained in the first of the series. I still enjoyed it all. I loved watching Ellie and Ryan become more and the antics that was thrust upon them at various stages. Grandma, Frank, and even Ryan's dad and uncles play a part that makes it all worth it. This was a sweet clean romance that gave a story complementary to the first of the series. Four years ago, Ellie Green left her home on the island of St. John to pursue an ecology degree at the University of Costa Rica. Spending those four years teaching tourists the joys of protecting the rain forest and reduce reuse recycling left her fulfilled, but after a dishonest professor stole her funds she's left without a degree or tuition. Ellie returns home to St. John only to find her childhood home near ruin and her childhood crush Ryan Andersen ready to bulldoze the property to build a Four years ago, Ellie Green left her home on the island of St. John to pursue an ecology degree at the University of Costa Rica. Spending those four years teaching tourists the joys of protecting the rain forest and reduce reuse recycling left her fulfilled, but after a dishonest professor stole her funds she's left without a degree or tuition. Ellie returns home to St. John only to find her childhood home near ruin and her childhood crush Ryan Andersen ready to bulldoze the property to build a massive casino. The casino project is Ryan's last effort to regain control of his finances and more importantly, earn his father and uncle's respect. He's determined to do just about anything to accomplish both dreams. Ryan hasn't seen Ellie since she was a spunky little girl, and he's surprised to see she's grown up to be gorgeous and sweet. When they're forced to pretend to be engaged, neither seems to mind. I really enjoyed this sweet romance, it was a nice tropical escape. The characters are fleshed out well, Ryan is vulnerable and charming, while Ellie is fun and endearing. Ellie's Gran is a crackup and I can just picture her striking a disco pose! I loved the ploy the author used to keep Ryan and Ellie close by each other in the beginning. I did wonder why a security conscious family like the Andersens with so many bodyguards would invite a known kidnapper to all the family events, but it didn't detract from the story. I received a free ARC of this book and am voluntarily writing an honest review. After reading the first book a while ago, I was so ready for book 2. I love that the author was able to make me feel like I was in the Caribbean through her descriptions! Ellie was the perfect foil for Ryan and their romance was sweet. Ellie knew Ryan when she was a kid and actually dreamed of marrying him when she was eight. Fast forward 10 years and they meet again. What starts as a fake engagement to help Ryan obt I received a free ARC of this book and am voluntarily writing an honest review. Enjoyable storyline, some very interesting characters that's for sure. I'm sure if I read it, it would have come across a little funnier. Narrator was great with male voices and different characters. Good characters and a good story: this is as described, a fast paced romance with something me comedy woven in. This is the first book I read by this author. I will be reading more of her books, that is for sure. She brought each character to life. This was a great read! Full of surprises!! The characters are sweet and the story line wonderful! Recommend read for everyone!